The dual storylines keep the pace exciting, and—even though the heroine is sleepy—the art is energetic and charming. Princess Magnolia has fair skin, Duff's is a little bit darker, and the beachgoers are pleasingly diverse. 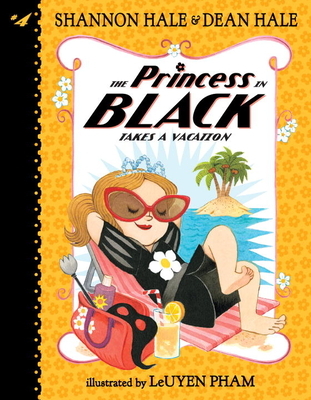 As always, hilarious; perhaps the strongest Princess in Black outing since the first. Pham’s expressive artwork appears on almost every page, effectively breaking up the text for emerging readers, as well as helping them to visualize the story details. Particularly amusing are the paired illustrations that compare the Goat Avenger and Duff. Recommend the PIB series to Kate DiCamillo’s Mercy Watson graduates looking for a new fix.